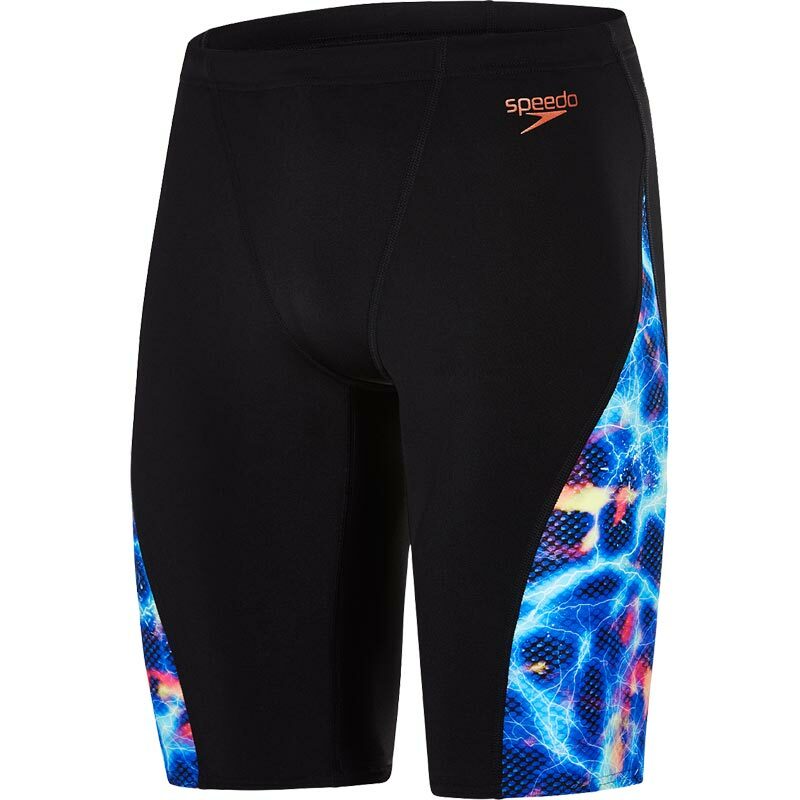 Stand out during your training sessions in these vibrant jammer featuring an electric print, these shorts are designed to promote a smooth, hydrodynamic profile in the water. This style includes a drawstring waist for a more secure fit. Made from Endurance+ fabric, which fits like new for longer. 100% Chlorine resistant - for long lasting performance. Quick dry - dries faster after your swim workout. Engineered V cut panels for added comfort and security. Drawstring Waist - For enhanced fit and security. 5 out of 5 Spot on ! Replacing my old pair of Speedo jammers, and the new trunks fit perfectly. I Bought these recently because they are endurance plus fabric and for the attractive look. I am 6ft tall with 34 1/2 " waist and slim build, so the 34" waist fitted well though the legs and waist were tight. If you are not slim and are in between sizes, or have large wide thighs you may want to go up a size or look elsewhere. The garment as new appears to be good quality. I like the comfort fit around the crotch area. I swim 3 times a week for 90 minutes each time. I would hope the fabric which is supposed to be 100% chlorine resistant will last at least a year in a swimming pool. I have had issues with other Speedo swim products which had chlorine damage after only a few months but they weren't endurance plus fabric. To be fair to Newitts they gave a refund and have a very good customer service. The issue was with Speedo product not Newitts. I would buy Speedo again but only if it is Endurance plus fabric.